- Date: 10/2013, Seed: $225 k (post valuation: $3000000). I sit on the advisory board of Bubbles and have seen the company develop over the past 12 months or so. Bubbles is a game changing business that, with sufficient funding to support its growth, I am convinced will become a market leader in the next 2 - 5 years. The company is in the process of subtly revolutionising online shopping, with their algorithm that works in the background to do much of the work for consumers. The way that Bubbles approaches online shopping is unique and once consumers clock on, there will be an influx of users to the site. Bubbles is a official partner of E-trackit which allows our clients to sell there goods via this marketplace but with automatic stock control. E-trackit is always excited to work with new partners but we feel Bubbles is the best opportunity we have seen for a long time. Etail Systems, is a multi-channel ecommerce solutions provider; we have worked with Bubbles since very early on its development, providing content from our clients websites. Having worked in a similar space that Bubbles works within, in a previous role, I understand the issues Julian and his team have faced, and they have found they always overcome these challenges in a quick and positive manner. I would recommend Bubbles for to our clients (who sell the products), and to friends (who want to actually use the Bubbles service). Overall, Julian and his team are a great bunch of guys to work and I wish them well as they enter this next phase of their development. Random Teens Ltd went live with Bubbles Online Services in May 2013 as a retailer. The company proved to be professional delivering on all the services they had promised. Transition of all our stock onto their website proved to be seamless for Random Teens Ltd with no detrimental effect to our own website whilst this transition took place. We saw immediate results with sales being generated in the first two weeks. The whole process of establishing our retail site with themselves, loading the stock and setting up check out procedures and monitoring of stock has proved to be faultless. I would fully recommend this company and Julian Fisher as being completely professional and transparent in all their operations. 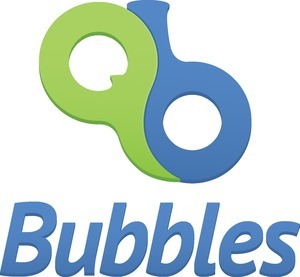 Bubbles is a marketplace created around a proprietary matching engine. Its core solution and ‘problem solver’ is ‘time’, utilising the time we are not able to search whether we are ‘on’ or offline, bringing results in the form of products or services to significantly reduce the overal time spent searching but with features that dramatically improve accuracy in finding the right product (or service) at the right price. 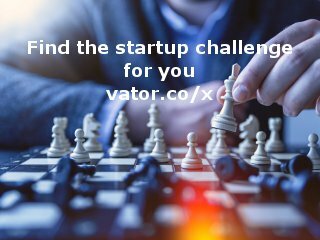 It is being rolled out in 3 stages starting with the availability of products, followed by services and thereafter combined with an application developer store (similar to an App store) realising the hundreds of thousands of programmers and their solutions through 3rd party applications. For the retailer Bubbles unique 24/7 matching process delivers unprecedented product exposure, for the shopper a unique, entirely intuitive and seamless answer to the rapidly growing need for personal search. For the advertiser Bubbles is combining product and services into a global marketplace with able to deliver highly targeted solutions that in turn will herald a break-through opportunity in customer acquisition and sales. Bubbles is a virtual personal shopper for consumers who buy online. Based on what’s being searched it works in the background, continuously looking for better products and deals on behalf of the shopper even after they log off. Results are then delivered to the user at their convenience. As the shopper’s search remains live in the system, the search is constantly being matched to products ensuring buyers never miss a deal and retailers never lose a sale. Bubbles’ solution binds commerce covering B2B and B2C. It is global, scalable, substantial in size and has a revenue potential worth hundreds of billions of dollars. For shoppers, whether purchasing as a consumer or business, the problem is the time and effort required to ‘shop’, i.e. to find the right product at the right price and to make sure that it is available. Consumers have come to expect instant gratification and have little or no time to browse, manually filter results, or to compare and contrast a raft of products against one another. And yet most fear and will regularly miss out on a deal. Bubbles has solved these issues through a proprietary process allowing consumers to shop without the need to be actively browsing online for hours on end – we call it ‘Search without Searching’. In essence, Bubbles solves the limitations of traditional search whilst retaining its helpful elements. Using Bubbles delivers a faster, easier and crucially, a far more engaging and enjoyable shopping experience than the currently available alternatives. For retailers, the Bubbles service ensures that their products are available and matched 24/7. In other words the product is brought to the search (term) so the problem of missing a potential sale is averted. Bubbles instantly matches products (to searches) that may even have only just been added into stock, whose prices have changed, or where deals have been created. These revisions to products that impact buying decisions would be lost on any other platform, where the search ends once the user logs off. For advertisers, Bubbles will be in a position to provide trend and data analysis showing the complete shopping journey from start to finish. This will include invaluable information showing when, where and what influences buying decisions. Something which occurs during a typical shopping experience. We learn about our search from the results received and if these are imperfect we’ll narrow down or amend our search terms (e.g. adding a brand name or specific feature). On other shopping platforms each amendment would constitute a new search and no trackable connection would exist. With Bubbles, this journey or ‘quest’ will be monitored from start to end on the platform, providing a phenomenally marketable insight into shopping behaviour. The primary revenue stream is a sales commission of 5% plus sales tax on the total transaction value (including delivery). This is charged to retailers at the point of sale. Advertising, cross-promotion and complementary marketing with and between products and services offer one of the most significant revenue streams for Bubbles. With features that include, ‘Shoppers Paradise’, ‘Daily Deal’, ‘When it’s gone... it’s gone!’ and ‘The 60 minute deal’ Bubbles will be able to fine-focus marketing messages to buyers throughout the entire shopping process, including prior to the point of decision making, at the point of buying and post-purchase. This degree of interaction has never been accomplished by any other marketing agency. Additionally, there will be significant value in the data that Bubbles will collate around consumer behaviour, buying habits and trend predictions. Bubbles will track, monitor and report the entire shopping process from start to end. Analysis will be available on what influenced buyers to move interest from one product to another, what shaped their decisions, how and why they altered their search terms and ultimately what level of incentivisation, if any, was used to drive the purchase. This is highly valuable data that will have a direct impact on product development and marketing. 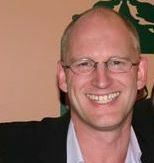 Bubbles was founded by CEO Julian Fisher who launched the UK’s first internet exhibition in 1995 which he sold to IDG. Just as smartphones were taking hold he developed Kwickee, Europe’s first mobile publishing platform, raising €1m, exiting to BNP Paribas. Julian is supported by CTO Martin Adams with over 10 years of technical development experience with a focus on user experience, web architecture & software development. 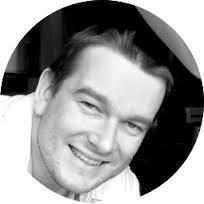 Martin was previously a software engineer at Ericsson and IBM. Alex Azarov, Head of Development - 10 years IT development experience, a degree in Computer Sciences. Anton Shabanov, Lead Developer 7 years development experience with a strong relational database skill set, “big data”, essential for Bubbles. Mandy Cornick, Product Promotions Manager - 10 years’ experience in frontline retail management. Scott McGinley, Dalepak - formerly Operations Director at Play.com, is the eCommerce Director at Dalepak second only in fulfilment distribution services to Amazon. Robert Jarrett, BIRA - Board Director at BIRA, the British Independent Retailers Association (7,500 retail members). Mike Fauconnier-Bank - angel investor, previously at Citigroup where he advised clients on transactions in the Consumer, Retail and Leisure industries. Bubbles v.2.0 has been operating in beta since end August 2013. Since then the team’s focus has been on onboarding merchants to the platform. A limited run of social media campaigns to attract consumer activity and feedback, for test purposes, was highly successful. 5+ years advisory and investment experience, with a particular focus on the UK leisure sector and the wider Consumer & Retail space, including digital / online. Bubbles processes all payments and charges retailers a sales commission of 5% plus sales tax on the total value of transactions (including delivery costs). This is retained at the time of payment processing, with payments passed on to retailers net of commission. Bubbles has deliberately set a highly competitive commission structure for early adopters so as to encourage retailer adoption. Where management see highly valuable opportunities is in the data that Bubbles will collate around consumer behaviour, buying habits and trend predictions. Granular data around product attributes and their interest to consumers during the buying process, what influences a purchase (such as overall value, discounting, size, colour, features, etc) will be available to Bubbles. This will be packaged on a platform-wide basis and made available to interested parties. In addition to granular information on product sales, Bubbles will also be able to effectively predict future trends based on the products that consumers are searching or questing today. This information will be highly valuable to retailers seeking to satisfy consumer demands. From an advertising perspective, the quest process allows for a highly targeted product-placement proposition. Advertising across all pages served up for products and services will be possible whilst maintaining an independent position in respect of quest results. In other words, the system will generate a personal set of results free from paid-for data manipulation. It will be impartial ranking results according to the user’s preferences and the Bubbles matching algorithm. With a quest’s journey from the initial search through the various stages of research and decision making (including a change or amendment to the quest) Bubbles will introduce a highly focused series of marketing propositions; designed to support the overall shopping experience. As an industry disrupter, Bubbles operates in a unique space. Management are unaware of any other companies seeking to fulfil the specific features that Bubbles offers both to consumers and retailers. That is, there are no current online retail platforms that provide a questing service, offering consumers the ability to have a search conducted passively on their behalf in the vein of a virtual personal shopper. Clearly, however, there is an element of crossover between the Bubbles platform and other companies operating in the wider online retail space. Further, although management believes that the Bubbles platform provides the best online shopping experience currently available to consumers, there is an underlying understanding that other platforms do provide a direct, if imperfect, competition for Bubbles. Management identify competitors as sitting across a spectrum of own-brand / own-store retailers, competing marketplaces and pure search competitors. Own-store retailers operate standalone e-commerce presences under their own brand, hosted on, or accessed via their own websites, selling their own-brand and/or third party products. There is a growing trend for these businesses to also have a presence on one or more online marketplaces as a way of capturing additional business. For this reason, although management do see these own-store presences as a form of competition, they also view the businesses as potential merchant clients for the Bubbles platform. At the other end of the spectrum are pure-play or traditional search engines. Whilst some of these incumbents have developed shopping-orientated search solutions (such as Google Shopping), these tend to be imperfect and typically return myriad results, many of which have no contextual relevance to the original query. In addition, since Google have introduced fees for all product feeds the level of submissions and accuracy has plummeted. iii) Online auction platforms such as eBay which allow individuals and businesses to advertise their products in return for a listing fee and completion fee, and which also provide a defacto marketplace via the Buy It Now option. Management believe that the proprietary Bubbles matching technology will be of particular interest to the companies operating in this particular space, as it is this technology and, indeed, the general bottom-up approach to online retail, which differentiates Bubbles from these existing businesses. Bubbles Online Services Ltd was featured in a VatorNews article: "Funding roundup - week ending 12/20/13"
Bubbles Online Services Ltd was featured in a VatorNews article: "Online marketplace Bubbles raises additional £200K seed"
Bubbles Online Services Ltd was featured in a VatorNews article: "Presenting the 10 finalists for Vator Splash London! " Gill Dunsford confirmed Bubbles Online Services Ltd as an investment. Stian Falck confirmed Bubbles Online Services Ltd as an investment. Sacha Backer confirmed Bubbles Online Services Ltd as an investment. Alexander Azarov confirmed Bubbles Online Services Ltd as an investment.